Cheryl McKeary was born and raised in Kingston, Massachusetts, a small town south of Boston. She lived in what she fondly calls, “the house that Jack built”—a house built by her father, Jack and her mother, Ellen. This was not very far from where her Pilgrim ancestors first arrived (Plymouth) on the Mayflower in 1620. Her love of photography started at a young age under the direction of her father. They spent many hours taking photographs of people, places and animals. After the picture taking they would then move to their make-shift darkroom in the basement and spend time developing and perfecting their pictures. Many of her pictures were selected for the high school yearbook and local papers. In 1987 Cheryl started a desktop publishing/graphic design business where she created brochures, catalogs and newsletters for the business community. In 2000 she and her husband moved to Washington, Maine where they built their dream home. At that time she expanded her business to create websites and write marketing plans for small businesses. She joined Maine Authors Publishing in 2010 to develop marketing plans for self-publishing authors’ books, design websites, and create eBooks. 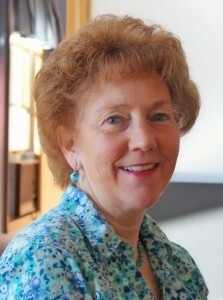 Cheryl retired as managing editor in 2015 but continues to consult and assist with the creation of websites as well as pursue her interest in photography. Cheryl enjoys traveling with her husband, John. They have taken trips in their truck camper where she has had the opportunity to photograph spectacular scenery across the United States and Canada. Some of her favorite photographs are of the coast of Maine. Many of her photographs have been displayed and sold in libraries and organizations in Maine. She can be reached at cmckeary@mckearydesigns.com.